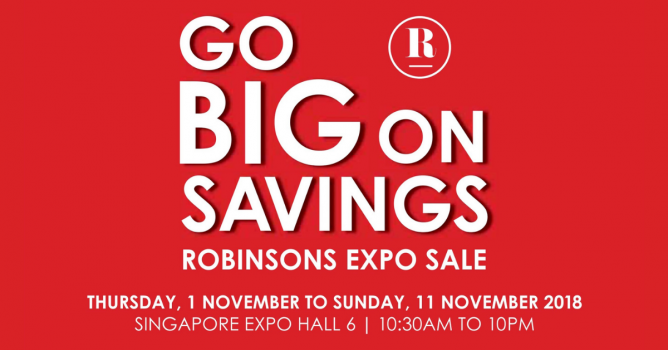 Home > Department Store > Robinsons: Expo Sale 2018 with Up to 80% OFF Fashion, Cookware, Homeware & More! 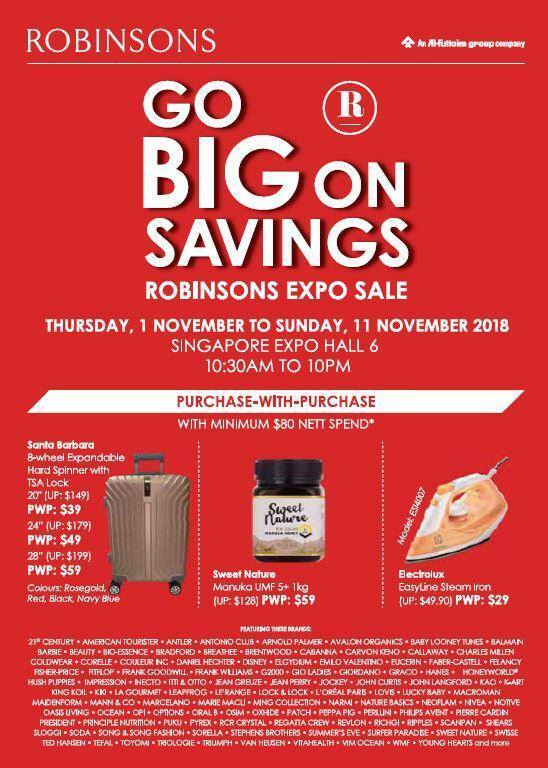 1 - 11 Nov 2018 Robinsons: Expo Sale 2018 with Up to 80% OFF Fashion, Cookware, Homeware & More! Hit two birds with one stone! 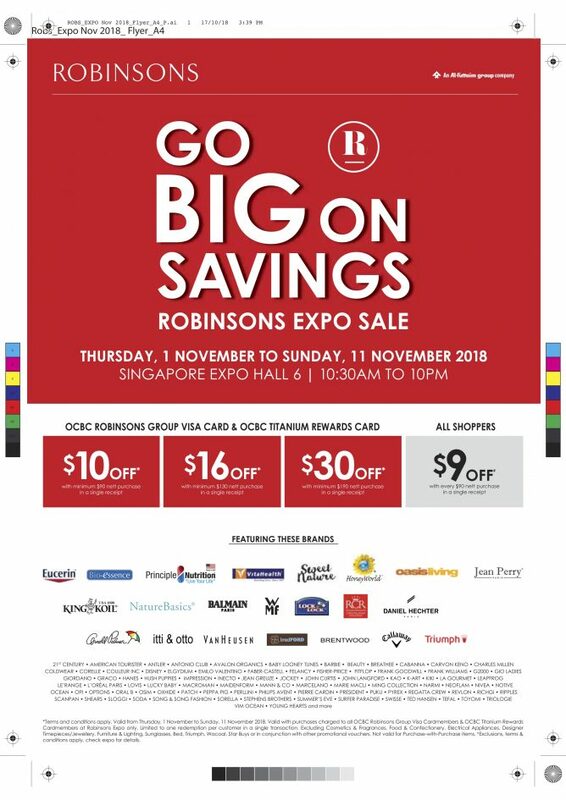 Besides Timberland Expo Sale, Robinsons Expo Sale is also happening at Singapore Expo from 1 to 11 November 2018! 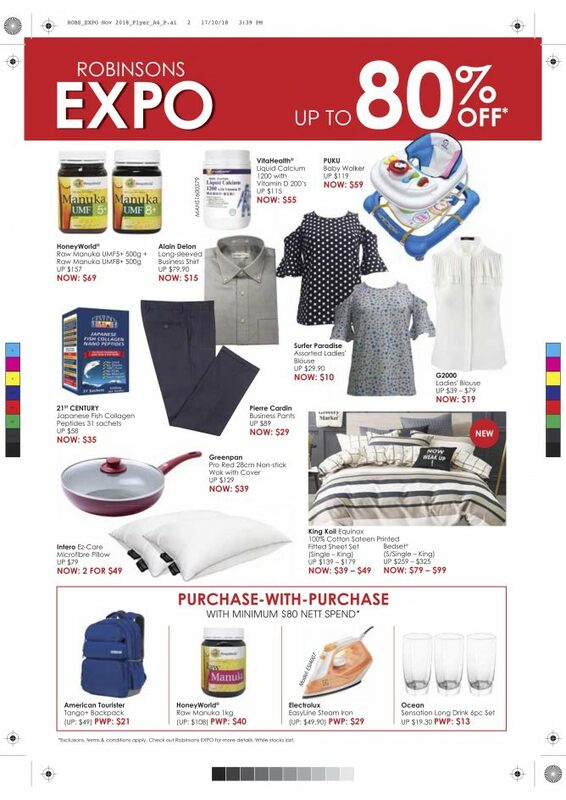 Enjoy up to 80% off fashion, cookware, homeware, health products and more! Next: Suntec Singapore: The Tech Show 2018 with Great Offers on Tech Gadgets, TVs, Notebooks, Tablets, Desktops, Gaming Products & More!